Please let me know if you would like to use any images or text from this blog. Thanks! 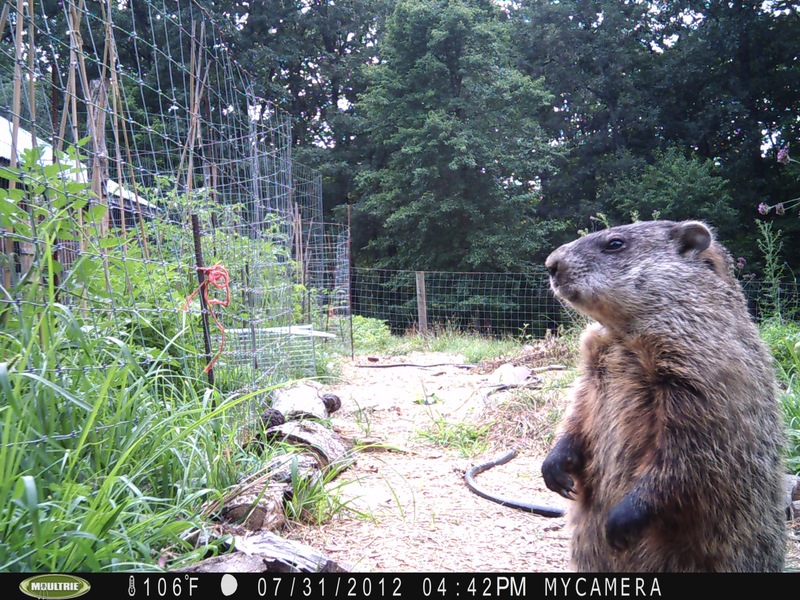 Yep still loving the game cam. Check out this fantastic portrait of a tomato eater! hmmm, this may take a while…but i’ll get there! We’d just put up an emergency tomato protection fence, inside of the fenced lower garden area. As you recently saw, all kinds of wildlife frequent this entirely fenced area!!! ARGH. So, emergency fence went in around the tomatoes. The night before this photo, I saw that there were new half eaten tomatoes inside this new fence–so alas, I guess he’s actually thinking–now which one was it that I liked best? Great shot though. Look at his deft little hands. Sheesh.